The 46RNAS is a 7.3mm multi-vision super narrow bezel 46” display monitor which is specially designed to offer high quality operation when used within many applications including airports, shopping malls, and stadiums to draw in more attention from customers for branding, communication, or training purposes. The 46RNAS display monitor comes with a 1366 x 768 pixel resolution, a 7.3mm flat bezel, multiple input support, a continuous 24/7 x 365 day operation, as well as wall or independent mounting options, and a 1018.353 x 572.544mm active display. The 46RNAS display monitor also features a 1366 x 768 @ 60Hz max resolution, a 700cd/m² /td> brightness level, a pixel pitch of 0.7455 x 0.7455mm, a 3000:1 contrast ratio, plus a 16:9 aspect ratio, and 16.7 million colors. 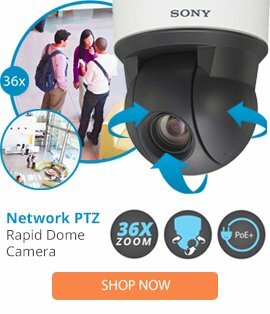 This professional and reliable security camera is able to offer effortless installation, and is suitable for use in a wide variety of applications to enhance a setup.